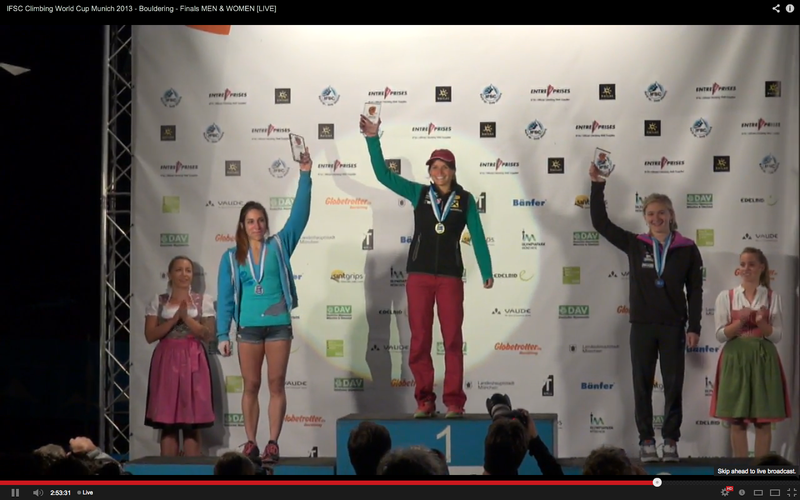 Alex Puccio (Silver) Anna Stöhr (Gold) and Shauna Coxsey (Bronze) on the Women’s Podium in Munich. 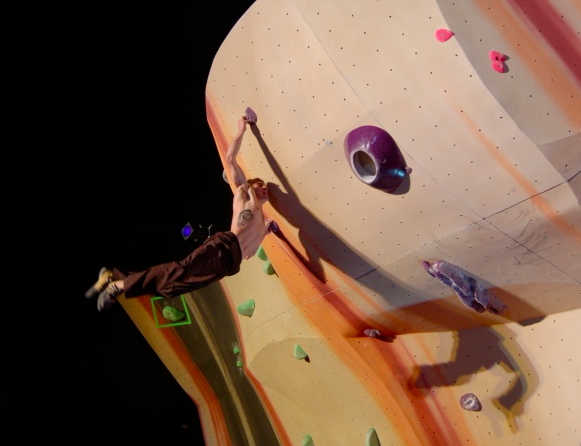 Alex Puccio put on a great show of strength here, but not finishing problem 1 really hurt her in the end. 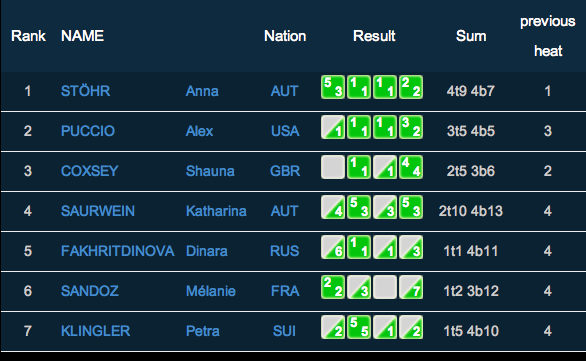 The announcers said Melanie had flashed problem 1 but apparently (according to the scores) she did it 2nd try. 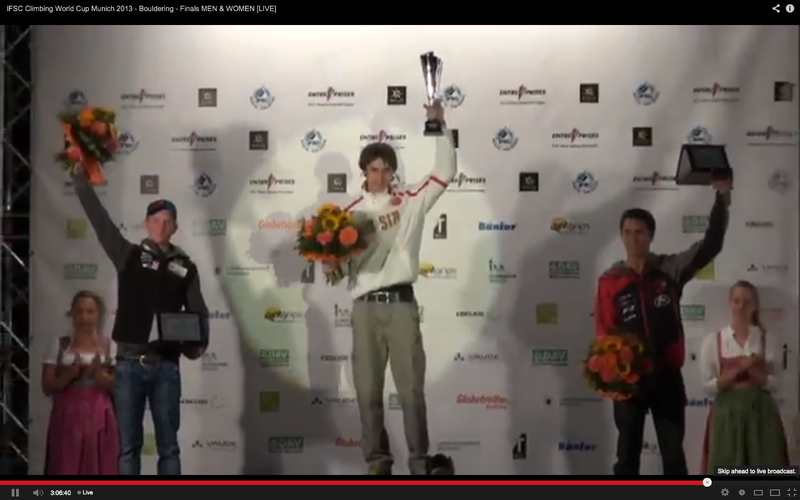 Good job to all the competitors for once again putting on an excellent show! 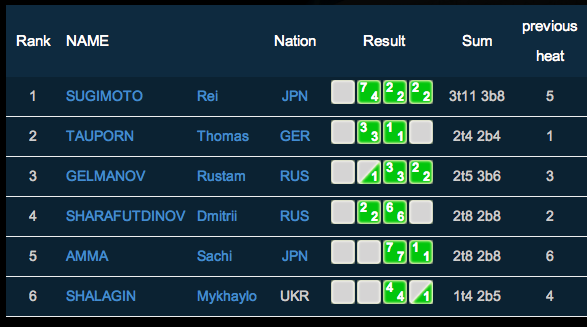 Rei Sugimoto in Gold, Thomas Tauporn in Silver, Rustam Gelmanov Bronze. 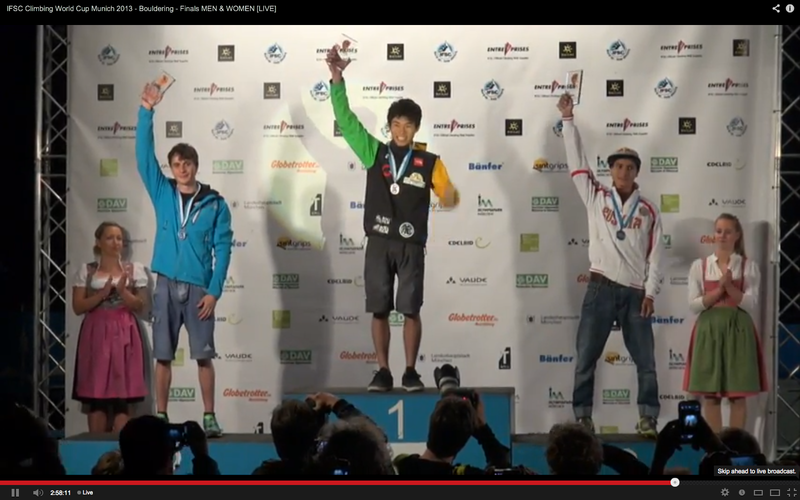 This is Rei’s first medal in a bouldering world cup and it’s a gold! 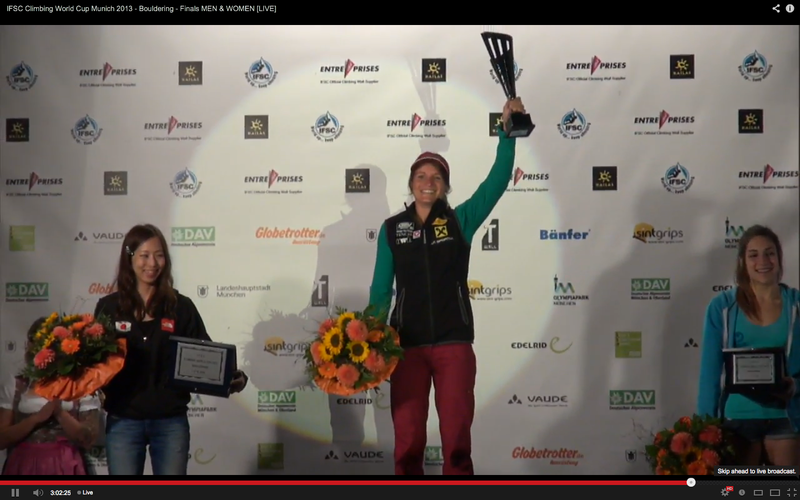 Fantastic job for this very worthy competitor you may remember from this year’s Vail finals.